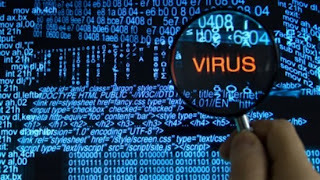 Cyber-attacks increased in Switzerland in 2012, they are now a key target. That is making the country to rank from the 49th to 47th among the target countries, according to Symantec company which also believes that the Swiss financial center is a prime target. The number of computers becoming zombies after an infection spam rose sharply in 2012. The American firm Symantec announced that Switzerland, the key target, now ranks 53rd among the countries threatened vs. the 80th position before. The rate of “phishing” to seize personal data of victims such as access codes to online bank accounts, remains also quite high. Switzerland is thus a key target by cybercrime due to the efficiency of its network, which makes it easy to spread spam says Candid Wüest, a researcher at Symantec. He also found that the density of financial services and wealth of the country made up of Switzerland in the crosshairs of cybercriminals. And if infrastructure using information technology and communication (ICT) sensitive classified prove relatively safe, according to Symantec, Switzerland defined as highly vulnerable to cybercrime banks, energy infrastructure, telecommunications networks, road and rail traffic. Government, hospitals and the media are on the lower level. Unlike the United States, which is the country which is the most affected by cybercrime in the world, Confederation considers that cyber risks are not in the military scope says Myriam Dunn, an expert in security policy at the ETH Zurich. Mid-2012, the Federal Council approved the “National Strategy for Protection of Switzerland against cyber risks (SNPC)”, which excludes the case of war or conflict, she says. The specialist said that more than 80% of the infrastructures considered vulnerable are in the private sector and by the SNPC, the use of cyberspace, and cyber risks involved are under companies’ responsibility. To avoid becoming the next victim of cybercrime, protect your web connection and your computer as your mobile through Le VPN: A VPN service encrypts your Internet connections and keep private the sites you visit and the information you give on these sites. Any information you send will go directly into your secure virtual tunnel. With Le VPN, you can easily direct your traffic as coming from one of the 20 available countries. Your computer or mobile phone or tablet will connect to the Internet from one of these countries and no one shall intercept your online activity. Changing your IP, through a VPN service address, is one of the most important steps to surf the Internet anonymously and safely.